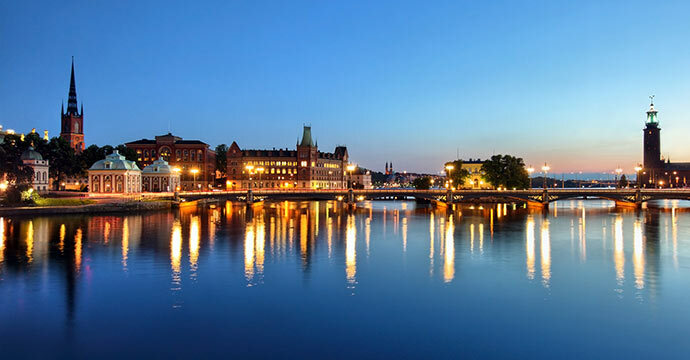 Scandinavian clarity is evident in every aspect of our Swedish translation service. Accuracy, reliability and promptness complete the package, with a guarantee of excellent quality and precision in every translation we provide. At K International we only employ native speakers, selected for their excellent translation skills. We deliver high-fidelity Swedish translations of documents, correspondence, advertising, reports, manuals and everything in between. Europe relies on multiple languages on a daily basis, no European business can afford to operate solely in one language. Public information is made available in many languages, and high-level translations are essential in today’s Europe. Important documentation that needs translating into Swedish requires professional Swedish translation services. For businesses or private citizens, there is an element of risk in assigning an important translation to an unqualified individual, even if they have a command of the native language. The importance of adopting the services of professional translators is fundamental; the benefits of our Swedish translation service are multiple. Swedish bilingual translators accurately translate from the language of your document into Swedish, faithfully keeping the tone and style of the original document intact. Our fully qualified mother-tongue professional translators are behind all translations, ensuring precise, accurate and well written copy. Each client is assigned an individual account manager. This is your point of contact right from the start, closely following all stages of the project. This contact is always available to answer any queries, clarify as necessary and guide you through the translation process. The Swedish translation of your document keeps the same format and layout as the original document. This is a precious and practical bonus point: it means that the translation needs no adjusting or re-formatting; it is ready to use on delivery. If required, our studio team can provide in-house typesetting and design, to format and lay-out manuals and publications according to your instructions, thus shielding you from additional costly artworking, typesetting and agency fees. A useful option for large-scale or on-going continuous projects is our online translation portal, Tracklingua. Companies and institutions who need a series of Swedish translations, or who have far-reaching projects entailing multiple translations, or who require translations into many languages, can make use of Tracklingua. It allows fuss-free uploading/downloading of multiple translations at prearranged rate, saving the client time and money. There are over nine million native speakers of Swedish, mostly in Sweden of course but also along the north and south coasts of Finland, where Swedish, along with Finnish, is the official language. The language evolved from Old Norse and has much in common with other Scandinavian languages; Swedes, Danes and Norwegians can understand each other with little difficulty. There are a handful of major Swedish dialects and hundreds of minor ones, but all official business is carried out in standard Swedish. Sweden is an important corner-stone of the European Union. Its import/export sector and its multinational business enterprises go way beyond Smorgasbord, robust cars and instant furniture. Sweden moves with the times and innovation rules, so dynamic business transactions between Swedish companies and international firms and organisations all over Europe mean that our Swedish translations are frequently in demand. We have a skilled Swedish desktop publishing team made up of in-house designers and typesetters. Creative Swedish layout conversions of your documents or even complete re-designs to suit your overseas audience are no problem. Take a look at our dedicated desktop publishing page for more information.